Ride-hailing company Lyft is testing out a new monthly subscription model—a la Spotify or Netflix—that would provide passengers a set number of rides for a fixed cost. For now, it seems, the terms may vary, depending on the customer. But the terms being offered appear to differ, depending on the customer. As the Verge pointed out, some passes offered 30 rides for $200 per month, another went for $399 and 60 rides, and one went as low as $50 for seven rides in a month. Rides up to $15 are considered “free” under the all-access plan. 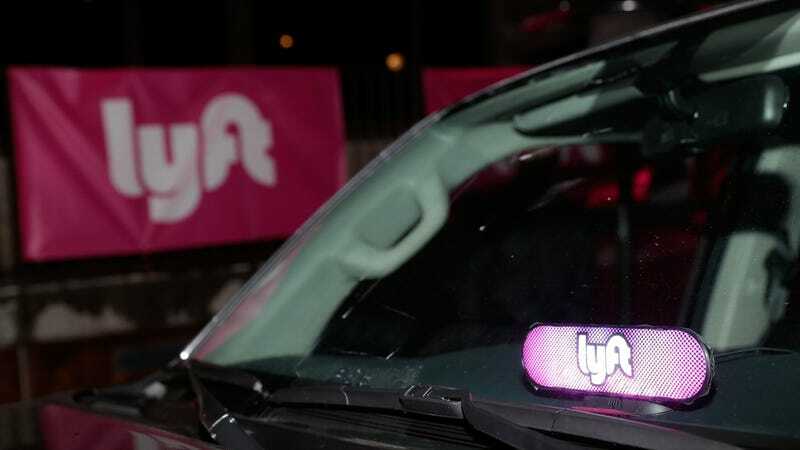 Lyft alluded to the subscription model at a press event Wednesday, where it unveiled a partnership with auto parts supplier Magna, which is investing $200 million in the ride-hailing company. “We are going to move the entire industry from one based on ownership to one based on subscription,” CEO Logan Green said, according to The Verge. The company has been working over the last year to deploy self-driving cars onto its network, directly competing with main rival Uber. In the process, Uber has netted partnerships with a wide span of companies—Google’s Waymo, Ford, an array of startups—and launched pilot tests along the way, including at this year’s CES conference. The Magna partnership will have Lyft designing the hardware and software for an autonomous car system, while Magna would handle the manufacturing process. Lyft eventually has a goal to deploy fully-driverless cars, but it expects to keep human drivers on its platform for the foreseeable future. I imagine a subscription model could go over well with city dwellers who frequently hail rides to get around town, but it’s not clear how Lyft would charge for rides that exceed the $15 threshold set as part of the all-access pass. We reached out for comment and we’ll update the post if we hear back. We’re always testing new ways to provide passengers the most affordable and flexible transportation options. For the past few months, we’ve been testing a variety of All-Access Plans for Lyft passengers. When it comes to rides above the predetermined amount of $15, Lyft said passengers with an all-access plan would pay the difference.